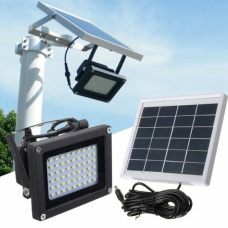 Universal outdoor 20 LED Solar Powered Flood Light with automatic Lighting control Sensor is a high-quality waterproof ARILUX product with multiple features. Advanced Solar Panel has high Energy Conversion rate and charges the Lithium battery faster. The double head LED lamp delivers wide-angle two direction lighting and is ideal for maintaining powerful casual or emergency street light around a home or garden. 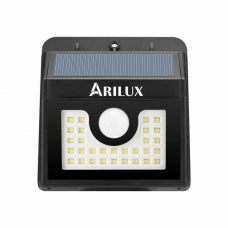 Universal outdoor 20 LED Solar Flood Light with automatic Lighting Control Sensor is an advanced waterproof ARILUX® product with multiple features for casual or emergency purposes. 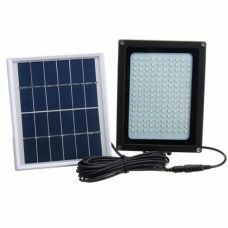 The LED lamp is fully operated by Solar Energy with efficient Solar Panel and powerful built-in rechargeable Lithium battery. The product designed for outdoor use with IP54 protection rating and does not require any additional electric wires or other sources of energy that. 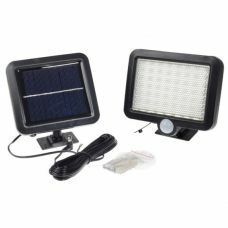 The outdoor floodlight has built-in automatic daylight sensor that activates the lamp when it gets dark and turns it Off with the sunrise. The double light head provides wide lighting angle with two direction distribution for efficient illumination of a greater area. The device operates in two different modes such as Full brightness On or energy-saving DIM mode with weak lighting that allows starching the battery life through the night. 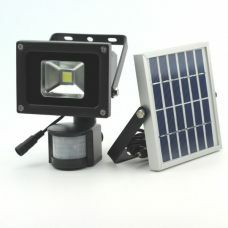 The solar powered light is a DIY product with universal mounts for easy installation. 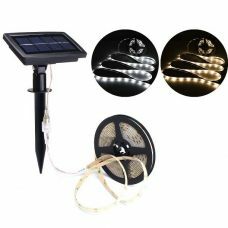 The self-contained water- and weatherproof lighting device does not require wires and can be easily screw mounted anywhere the sun shines including the wall or fence of the home, garage, garden, shed, in the warehouse, basement etc or can be installed on the lawn in the garden or flower bed. The device is a low-maintenance and cost-efficient Solar Product that provides outstanding performance without additional maintenance. 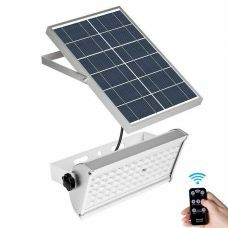 - Solar Panel has high Energy Conversion rate to shorten the charging time of Powerful Lithium battery. - Bright 20 LED double light head delivers wide angle lighting in two directions. - Two lighting modes: Full brightness On or energy-saving DIM mode. - Fully automated operation process with Special built-in Light-control System for day/ night mode detection. - Waterproof and heatproof: enhanced IP54 water and weather resistance. 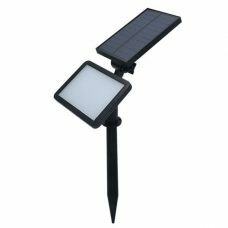 - Two installation options including wall mount and ground lawn stake makes it easy to install on various surfaces, setup and operate. 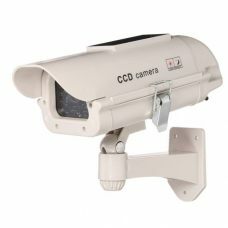 Ideal for: The universal flood light delivers reliable wide angle lighting in two directions and is ideal for maintaining casual or emergency light around the house, garage, garden, porches, patios, balconies & verandas, side and backyard, aisles, driveway, stairs, entryway, path, fence etc. The light also could be used for industrial and business premises. For whom: for someone who is looking for a smart and efficient way to organise and maintain lighting around a property for a variety of purposes. The light works well in different modes. It is a pity that there is no PIR motion sensor to operate as an additional mode. The light stays almost all night. In the summer it will probably be even better. This lighting product is great! I set 3 of those, at about 2,5m high on the wall and they provide a soft light all night long. The value of the product is great for the cost. I'm happy! 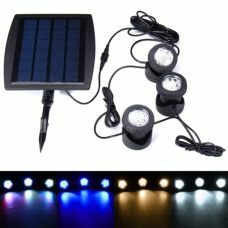 Good flood light, I tested it for 3 days now. The light is powerful enough even in dim mode for usual use. But the battery capacity can be a bit bigger for 20 LED. It works about 6-7 hours in energy-saving mode and 5+ hours in full intensity that is quite bright. The quality of material and fabrication is excellent. The only point to improve is the capacity of the battery.